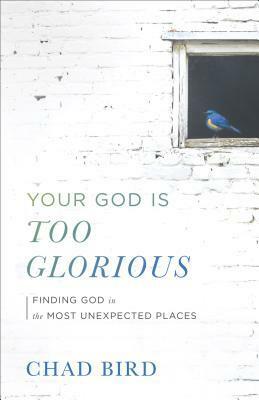 Your God Is Too Glorious: Finding God in the Most Unexpected Places by Chad Bird was published January 2nd 2018 by Baker Books. Most of us are regular people who have good days and bad days. Our lives are radically ordinary and unexciting. That means they’re the kind of lives God gets excited about. While the world worships beauty and power and wealth, God hides his glory in the simple, the mundane, the foolish, working in unawesome people, things, and places. In our day of celebrity worship and online posturing, this is a refreshing, even transformative way of understanding God and our place in his creation. It urges us to treasure a life of simplicity, to love those whom the world passes by, to work for God’s glory rather than our own. And it demonstrates that God has always been the Lord of the cross–a Savior who hides his grace in unattractive, inglorious places. Your God Is Too Glorious reminds readers that while a quiet life may look unimpressive to the world, it’s the regular, everyday people that God tends to use to do his most important work. 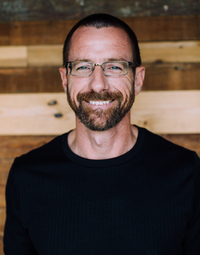 About the author: Chad is an author and speaker devoted to honest Christianity that addresses the raw realities of life with the Gospel of Jesus Christ. Chad has served as an assistant professor of OT theology, contributed hymns to the Lutheran Service Book, and cohosts the podcast “40 Minutes in the OT.” He holds Master’s degrees from Concordia Theological Seminary and Hebrew Union College. In addition to writing two books, Christ Alone and The Infant Priest, he has contributed articles to Modern Reformation, The Federalist, Concordia Pulpit Resources, Mockingbird and other publications. His new book with Eerdmans, Night Driving: Notes from a Prodigal Soul, is now available. His book with Baker, Your God Is Too Glorious, is also available for pre-order. He is also a regular contributor to christholdfast.org and 1517legacy. Chad and his wife, Stacy, enjoy life together in the Texas Hill Country.